2019 Senior and Junior Competitions!!!!!! Senior divisions: Mixed, Mens, Ladies, Family & Friends. Junior divisions: Tiny Taggers - Under 14. SUMMER SEASON: 02/09/2019 - Tiny Taggers - Under 6's - Under 9's - Boys and Girls division. 04/09/2019 - Under 10 - Under 14's - Boys and Girls division. *Please note all payments must be done online, there is no cash options available at the venue! *All teams must have atleast 1 financial player to register a team and go into the Round 1 draw. *All teams that do not have minimum of 5 financial players before the round 3 draw will be excluded from the draw until they meet the registration criteria. *Any players not financial as of round 3 will not be eligible to take the field. *All teams must have a minimum of 11+ players or pay the equivalent of 11 before round 5 to remain in the draw. *Should teams not have same coloured team shirts (numbered prefered) by round 5, will concede 1 point per player out of uniform. * Please note if a team has an issue with their opposition breaching the rules, it must be addressed to the referee or venue management BEFORE the completion of your game. Please click on the Junior Comp or Senior Comp tabs for more information and registration links. 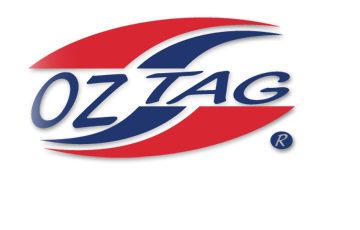 Don't forget to join our Caloundra Oztag Association Facebook page to stay up to date with all information, events, pictures and the fun at Caloundra Oztag. Get Started is financial assistance for young people to play sport! Caloundra Oztag accepts Get Started Vouchers, click here to find out more info and to apply!